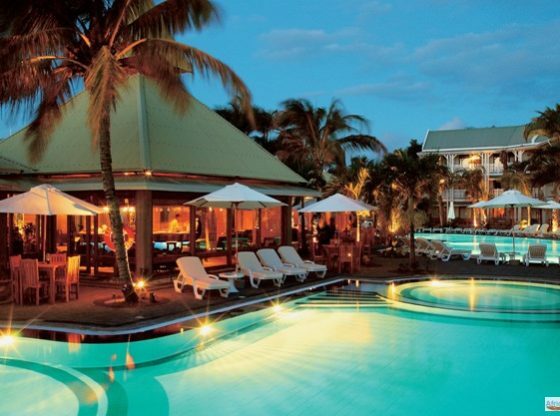 Once you are in Mauritius, visiting Grand Baie is a must. You will surely have a wonderful time there. You can visit the Grand Baie beach which is situated 20 km / 12 miles from Port Louis and directly to the north eastern coastline of Mauritius. Grand Baie is one of the major tourist hub in Mauritius because of its attractive white-sandy beachfront and deep water. The end of the beach closest to Sunset Boulevard have a few beachside apartments and cafes with awesome sea views, as well as many beautiful tall palm trees and small wooden fishing boats on the beach are very ideal for tropical beach photography. At the other end of the beach you will find fish market and many Indian food stalls. At Grand Baie you will get abundant water sports opportunities, such as snorkelling and ‘underwater walking’, where you can literally walk on the floor of the Indian Ocean, wearing special glass helmets piped with air. You can order almost all the excursions for much better prices through a local agency instead of the ones provided by the hotel operators. If you hire a Taxi for a day trip from the hotel they are expensive. You can take a short walk towards the Grand Bay where you will find a taxi stand near Hindu temple which is cheaper. There is no need to book your taxis in advance, one day notice is enough normally. All the trips are not available daily. It is best to pick up the brochures when you reach there and read them on the first day. Then the next day you can book a taxi according to your plans. There are lots of fishing boats in the bay means that it is not ideal for swimming. You can relax on the beach and have a local lunch that is quite cheap and very tasty. There are other places of attractions in Grand Baie. These include: Blue Penny Museum, Black River Gorges National Park, Sir Seewosagar Ramgoolam Botanical Gardens. The Beach is spectacular and you get everything close here to make your trip an enjoyable one. The sand is soft, the water is warm with slow waves. The beach has gentle slopes so even small children can enjoy the water near shore. There are lot of amazing Boutique shops and sales of local crafts from which you can learn about Mauritian culture. There are many pubs and lively restaurants in this area. You can take the tour to Coconut Island and snorkel the marine park. Take the south island tour through the mountains for great views.